Grad Slam is an annual UC wide contest to communicate research clearly to a general audience in three minutes or less. Winners receive prizes from $500 - $5,000. 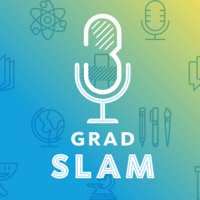 For more information about what Grad Slam is and the process to enter visit the website by clicking here. Fill out the Grad Slam Application Form and include the URL to your video by Friday, January 18, 2018.